Hip Swedish label House of Dagmar is known for its expressive knitwear and this season it’s come up trumps with a sweater that’s perfect for Bonfire Night. 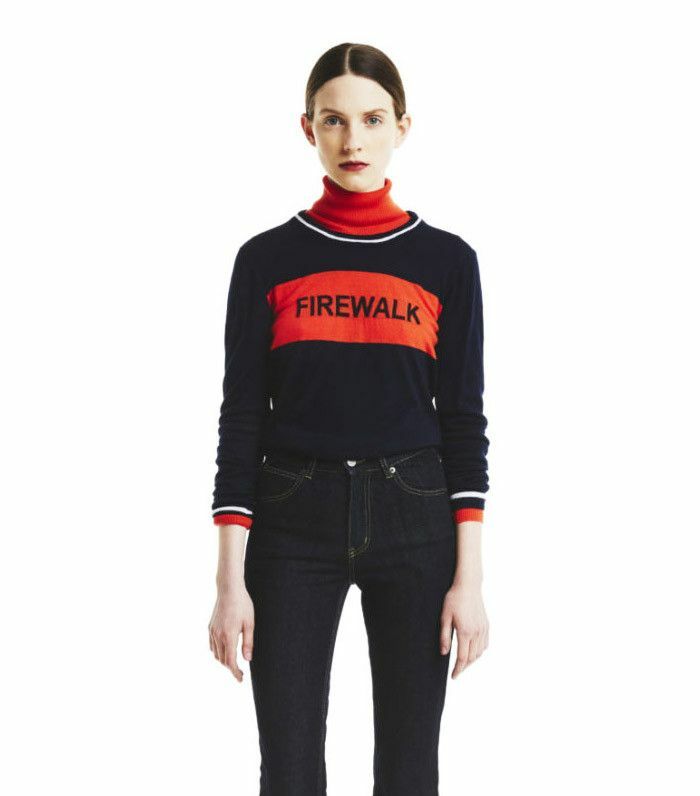 Slogan jumpers are on the money right now, and this merino wool gem sums up everything we love about Guy Fawkes Night and this time of year: bonfires, fireworks, toffee apples and that slight smell of burnt that permeates the air. We love it styled with a red rollneck to shield ourselves from chilly winds and to recall the pattern on the front. All you need is a hat and some gloves and you’re ready to honour this very British tradition for another year in style. Discover outfit ideas fit for a winter wedding.